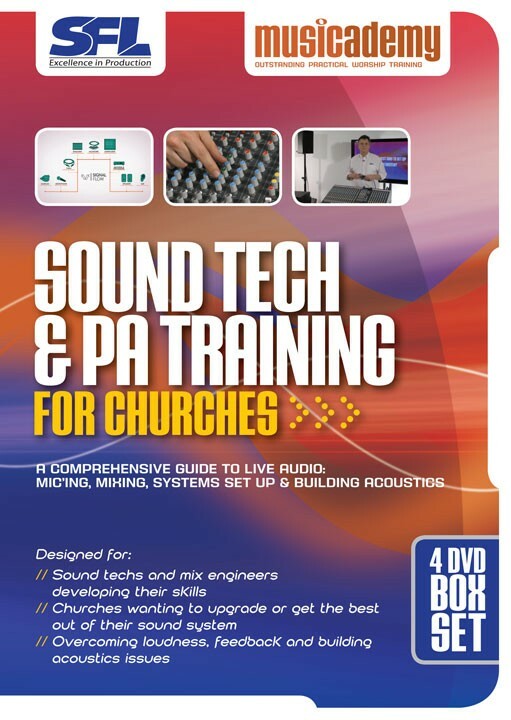 A comprehensive guide, on 4 DVDs, to live audio in church. 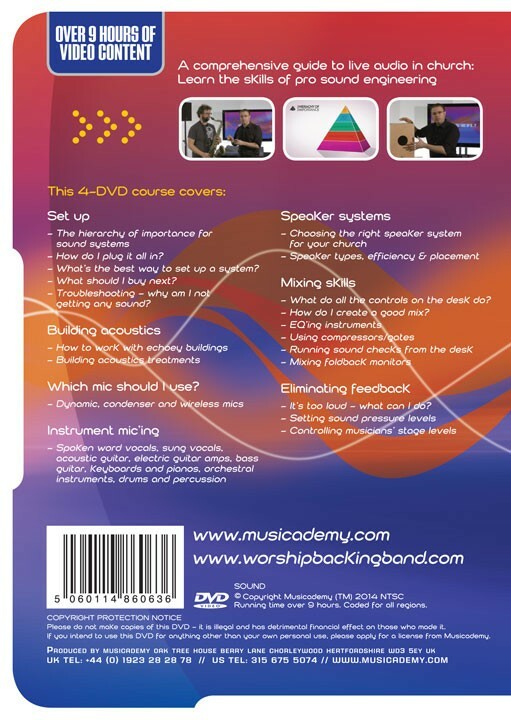 The course covers mixing, systems, set up and acoustics. The DVDs are coded Region 0 so play in any country. Troubleshooting - why am I not getting any sound? "An affordable, user-friendly means to train your tech team. This comprehensive package of over nine hours of video instruction is a value-added, cost-effective way to train your team." does not work well broken. 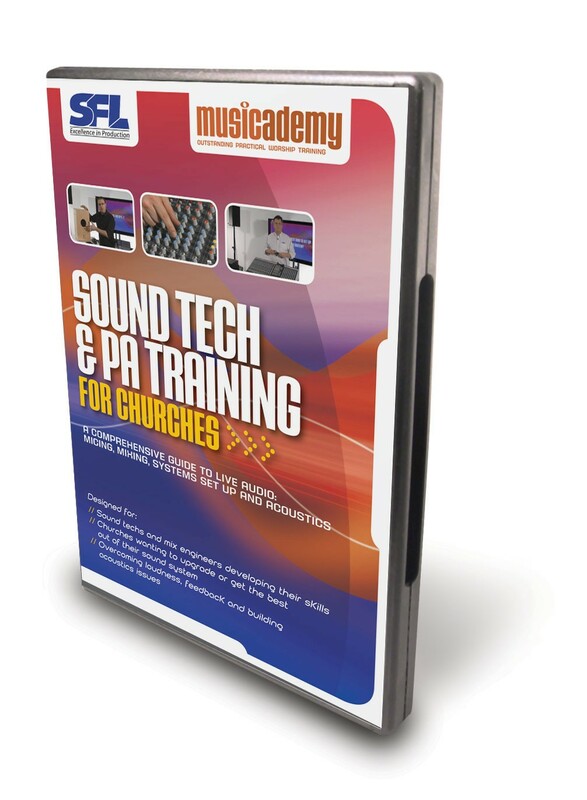 Thank you for the DVDs Sound tech & PA training. The DVD’s have been a great help. For example I watched the part how to set up mics for orchestral instruments and then the next day I unusually had a clarinet player join our church band. I was able to get it to sound great! 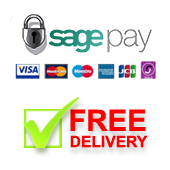 it Will certainly take your skilled Technician from amateur to Pro in just a few DVD's. We've made some Some investments to improve the Quality of Sound as suggested in Your first training DVD included in the kit. Wow what an improvement overnight !!! It takes quite a bit of time to watch it all, but well worth the time and money! 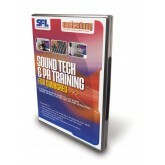 value for money.its a a b c step by step teaching that covers the whole aspect of pa tech from voice to ear, very good. well done musicademy.